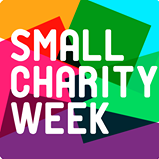 Small Charities Week … more support! We finished work today to find this on Twitter… amazing, we’re so grateful to all our supporters, friends and family alike. Raising awareness of Poland Syndrome is what we do and to get the support from others is all the encouragement we need to keep going! Poland Syndrome is believed to affect 10% of people born with “syndactyly” (joined or webbed fingers). It is rare and difficult to diagnose. Often babies don’t get diagnosed until they are young children or until they hit puberty where it becomes more obvious that one side of their chest is not forming like the other. It can be alarming for parents to discover this or notice a “sunken” chest on a child. And then disturbing still that doctors may not know what is wrong. We want to change that by raising awareness, which is why we are here, on Twitter, Facebook, Slideshare and Tumblr. You can help us by following, liking, sharing, re-posting, emailing and talking about Poland Syndrome.